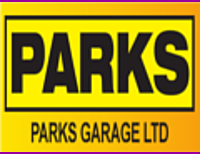 At Parks Towing we are your one-stop-shop for all vehicle recovery, mechanical repairs, vehicle storage and machinery transportation requirements. For nearly 100 years we have been keeping Cantabrians on the road, and coming to their rescue when their car needs towing! Our vehicle recovery service is available 24 hours a day, and a car mechanic is always on call to ensure we can provide on-the-spot advice and minor repairs. Our towing fleet is made up of 17 vehicles, and we tow everything from mobility scooters through to heavy trucks and buses. We have been growing and developing our mechanical workshop and now complete all mechanical repairs and servicing. This includes replacing cambelts, brakes, clutches and batteries as well as tyre and puncture repairs, lubes and tune-ups. Other services we provide include short and long term secure vehicle storage, and machinery transportation for equipment and vehicles weighing up to 13 tonne. We are proud to be an approved insurance vehicle recovery company, and also an AA Roadside Contractor. Please visit our website for more information on all the services we provide, then call or email to discuss all your requirements today! We are well-established Breakdown and Towing experts from the Christchurch region who specialise in 24hr vehicle recovery, mechanical workshop, vehicle storage and machinery transport. Our staff are highly trained and so you can trust that you will get excellent results with us.